Burris AR Tactical Sights are especially blueprinted for close quarter engagement with an AR, tactical and mid range precision shooters. They are also handy for lawmen, military and competitive shooters for precisely covering distances, and take the shot with lightning-fast adaptability. Furthermore, the compact prism sights help in nanosecond target acquisition in low light conditions. 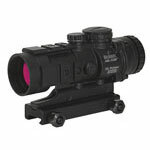 The list of attributes of the Burris AR Sight is inclusive of fast-action reticles for close quarter battle, illuminated reticles to lessen time to get on target in any lighting condition,3 reticle color settings: red, green, and black, rugged construction to withstand recoil and weather, hand-fitted internal assemblies for consistency even with shock and vibration, trajectory compensation up to 600 yards, tethered windage and elevation caps to prevent loss, waterproof and nitrogen-filled body tubes, secure mounting base for easily attaching to any Weaver or Picatinny-style system, and Hi-Lume multi-coating for light transmission and glare elimination. 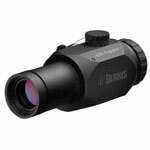 They are night-vision compatible and covered by the Burris Forever Warranty. 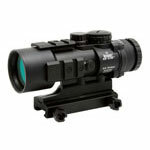 Select from the following lineup of Burris Tactical Sights on sale at Scopelist and shop now!